Dynamic wrinkles are lines, creases or folds that are caused by the pull of the facial muscles during repeated facial expression. Examples of dynamic wrinkles or lines of facial expression are the frown lines, worry lines, crow’s feet, and smile lines. These wrinkles are seen with movements of the face during emotion. Static wrinkles are lines, creases or folds in the facial skin seen when the face is at rest and not moving. Static wrinkles are caused by skin aging, sun damage, smoking and by long term dynamic lines that become permanent. What causes wrinkles in the skin? Skin aging from sun damage causes loss of collagen and elastin which causes the skin to loosen and lose fullness and tension. The result is that the skin forms small ridges and folds and the crease formed by the fold becomes a line or wrinkle. Repeated facial movement by the face muscles pulls on the skin, and where the muscle attaches to the skin a crease, line or wrinkle forms. How do you get rid of wrinkles or wrinkled skin? There is no one single cure for wrinkles. Wrinkles treatment has to be customized for your facial skin and for the type of wrinkle that you have either static or dynamic wrinkles or both. Both types of facial skin wrinkles can be smoothed by laser resurfacing. However, dynamic lines such as frown lines, crow’s feet, and worry lines will return after laser resurfacing if they are not treated with Botox® or Dysport®. How can I prevent wrinkles and wrinkled skin? Wear sun block and do not tan. Eat a healthy diet rich in colorful vegetables. Antioxidant vitamins A,C and E.
What is the best wrinkle treatment? The best most effective wrinkle treatment is combined laser resurfacing and Botox® or Dysport®. What is the best wrinkle cream? Do wrinkle creams work? Retin-A and other vitamin A derivative’s such as Tazorac® are the only wrinkle creams to be proven in controlled clinical studies to build collagen, reverse skin aging, reverse skin cancer changes, and remove fine wrinkles. Why would you use anything else? For patients who cannot tolerate Retin-A, Vitamin C serum is a great antioxidant and exfoliant and is well tolerated by sensitive skin. 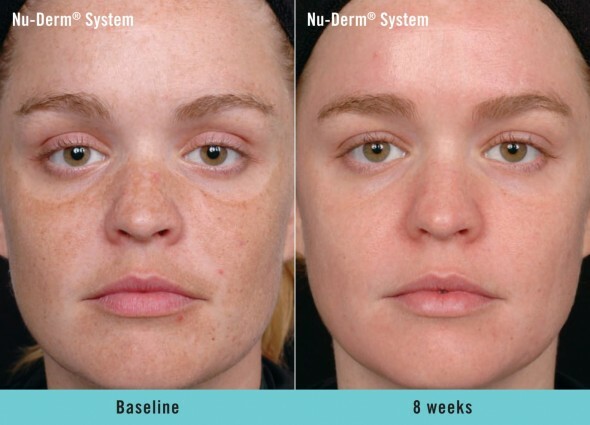 What is no down time laser wrinkle removal? No down time laser wrinkle removal refers to non-ablative fractional erbium laser resurfacing. The preventative anti aging, anti wrinkle skin care treatments listed above are mostly comfortable enjoyable medspa treatments. Laser resurfacing can cause discomfort but topical anesthetic creams and in some cases oral medication can reduce this discomfort. Botox® and Dysport® injections when done with numbing cream and cold therapy are nearly painless. Is wrinkle removal treatment safe? Wrinkle removal treatments are safe when performed by certified medical professionals and doctors in a doctor’s office. You will also only find the most effective anti-wrinkle treatments under the care of a physician. What does wrinkle removal cost? Wrinkle treatments that are effective and actually work are not inexpensive. Do not be fooled by Internet, TV, and newspaper that promise a magic wrinkle cure in a bottle. These advertisements are grossly misleading. Medical grade wrinkle removal in a physician’s office can cost as little as $100 for microdermabrasion, $400 for the best quality anti wrinkle cream kits, $350 for non-ablative laser treatments and up to $4000 for combined laser resurfacing. What is the recovery time for wrinkle treatments? Most wrinkle treatments do not require recovery time. However, ablative laser resurfacing or combined laser resurfacing typically requires 5-7 days for redness to go away if fractional erbium lasers are used. When will I see the final result of my wrinkle removal treatment? Effective wrinkle cure requires the skin to form new collagen and elastin and this takes time. You will not begin to see your final result until 6 months after laser treatments, wrinkle creams, and the other anti-wrinkle treatments mentioned above. Improvement should continue for up to a year. Who should do my wrinkle treatment? Effective wrinkle removal treatments require physician directed skin care. Board-certified plastic surgeons are the experts in wrinkle removal treatments. Boston Plastic Surgery Specialists is a leading provider of anti-aging skin care treatments, including wrinkle removal, laser skin resurfacing and hand rejuvenation. If you are interested in learning more about any of these procedures, schedule a private consultation with Dr. Seckel by calling 617-455-2859.